breathe. 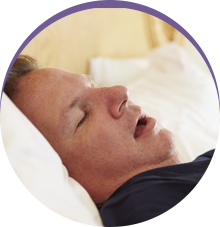 Although obstructive apnea is more common, both are not only disruptive to sleep, they can have serious health consequences. One of those consequences is hypertension, otherwise known as high blood pressure. Research indicates that patients who have sleep apnea are more likely to develop high blood pressure at some point in the future. Thus, there is good reason to believe that sleep apnea plays a role in the development of hypertension. During an episode of sleep apnea when breathing stops, the oxygen level in the body falls. As a result, the brain is alerted and signals are sent through the nervous system instructing blood vessels to constrict. When these blood vessels tighten, there is a necessary increase in the flow of oxygen to the heart and brain, which take priority over the extremities. Trouble is that what happens to the body overnight tends to continue during the day. So, even though sleep apnea is not a factor during the day when you’re awake, the low oxygen level at night seems to set off a number of systems that continue into the daytime. To sever the connection between sleep apnea and hypertension, Dr. Keane Fedosky and his team at Sleep Rehab in Plano treat sleep apnea with FDA approved oral appliances. They work by repositioning your jaw forward in order to reduce airway collapse during sleep breathing. Evidence shows if sleep apnea is treated at night using an oral appliance, then nighttime and daytime blood pressure are lowered. for sleep apnea with oral appliances that are non-invasive, non-surgical and non-pharmacologic. 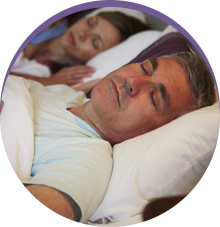 When you come to Sleep Rehab, we’ll give you a sleep test to determine your sleep breathing patterns. 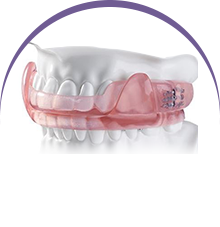 Once we determine your sleep issues, we can create a customized oral appliance for you. Worn nightly, this appliance will eliminate or reduce the effects of your sleep apnea and may help you avoid the life threatening consequences of this condition.